For the last couple of months or so I have discovered and become really inspired by macrame, especially by looking at everything that can be found on Instagram. 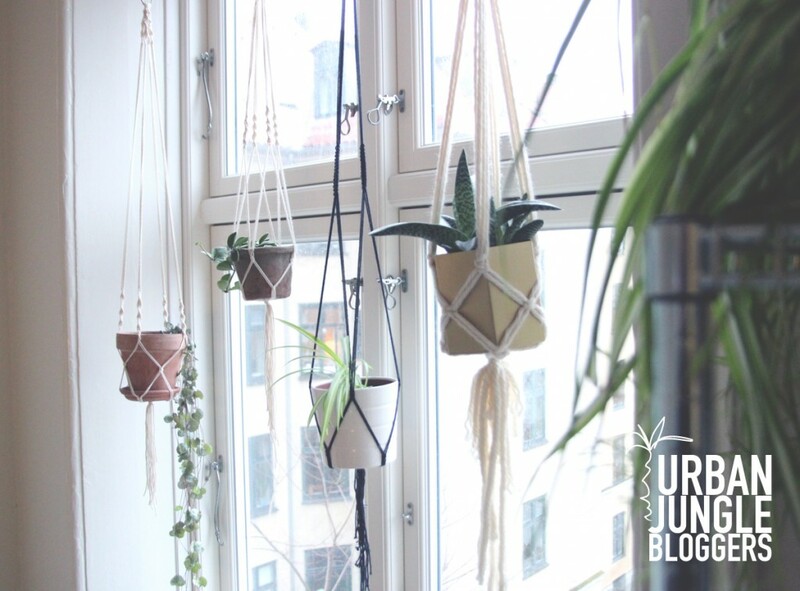 So it was perfect timing for me, when February’s Urban Jungle Blogger theme was plant hangers, I had to give macrame a go! It is actually not very difficult once you get to know some simple knots. I have been looking at DIY blog posts and videos that have helped me. 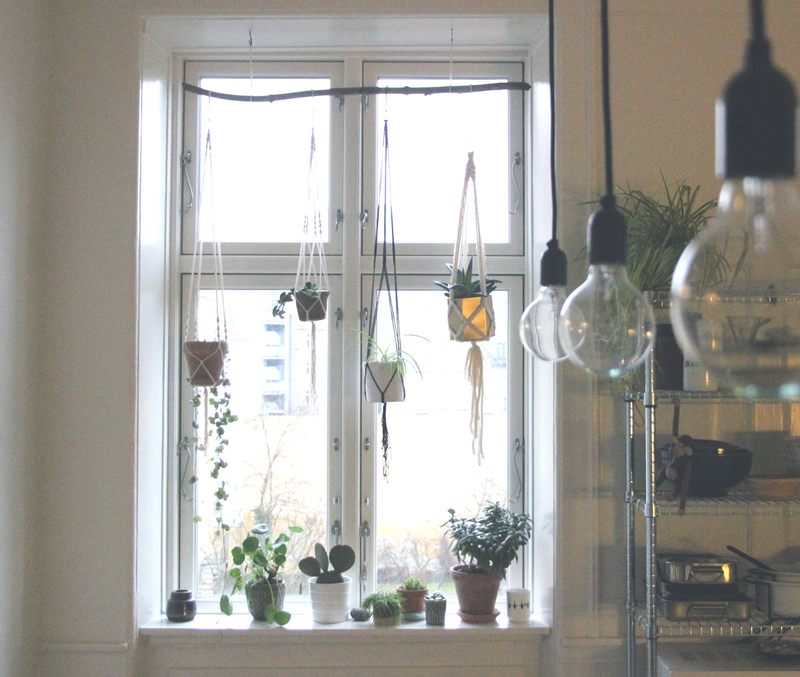 So far, it has resulted in this setup, with hanging planters in my kitchen window, along with a couple of wall hangers. The inspiration from Emily Katz’ famous photo is obvious. But it just works great. I had a trip to the beach with my family one day to look for drift wood that I could attach the planters to. This way I didn’t have to make too many holes in my century old wood panel. 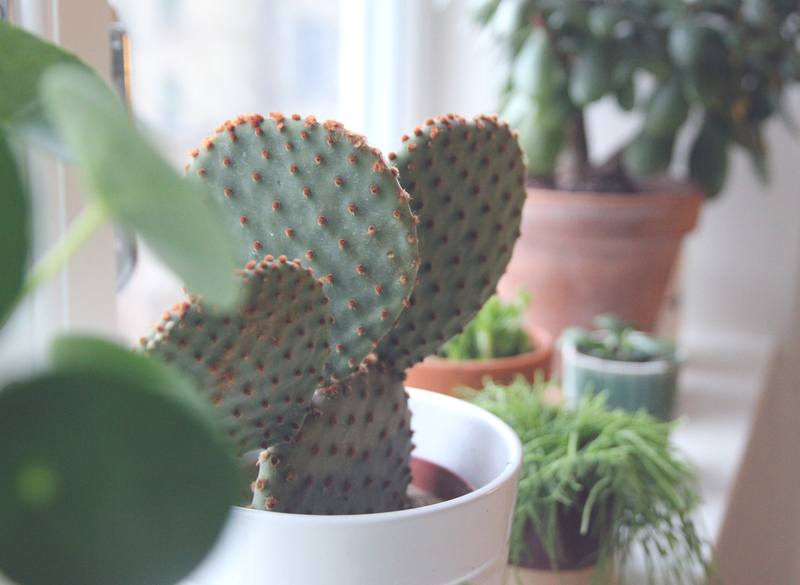 For those of you, who don’t know Urban Jungle Bloggers, it is a community run and founded by founded by talented Judith of Joelix and Igor of Happy interior blog. 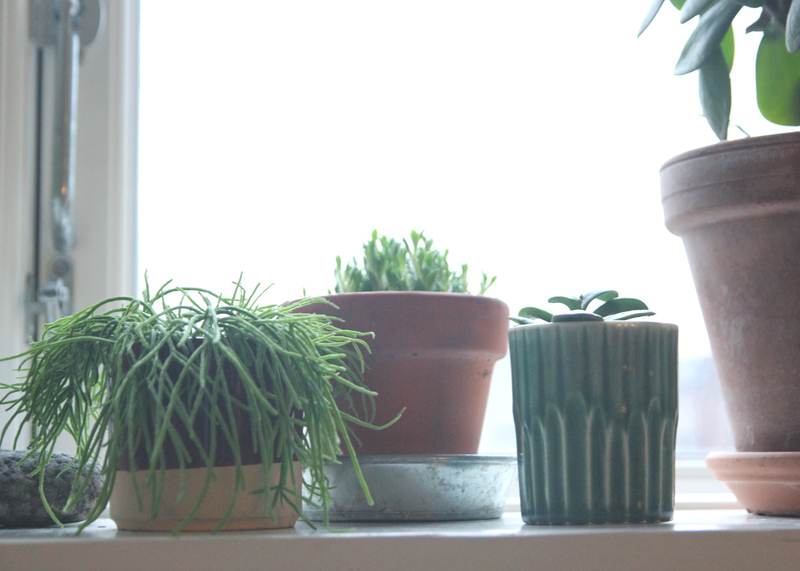 Every month, bloggers from around the globe share ideas to create greener life. What an absolutely stunning and beautiful hanging garden this is! Thank you so much for this fabulous Urban Jungle Bloggers inspiration! Thanks a lot Igor. I was happy that you brought up this theme. It really made me pull up my sleeves, inspite the limited amount of time that I have with a full time job and a family. But I have found a new hobby. they are beautiful. I plan on trying my hands at a few too! Thanks a lot Barbara. You have a really nice looking window as well. These are great. I went for the heavier cord ones and still have enough yellow cord for another few planters. Yours look really great! I have just ordered some 3 mm cord on ebay, and I plan to do a wall hanging with that. The thinner cord of course allows you to do some more details in the hangers. I am actually not sure what size cord I used for the thin ones. I just couldn’t wait to get started, so went with some very basic cotton yarn. My guess is that it is 1,5 mm or so – or maybe even thinner. Ohhh this makes me want to try out knotting myself a macramé hanger too! 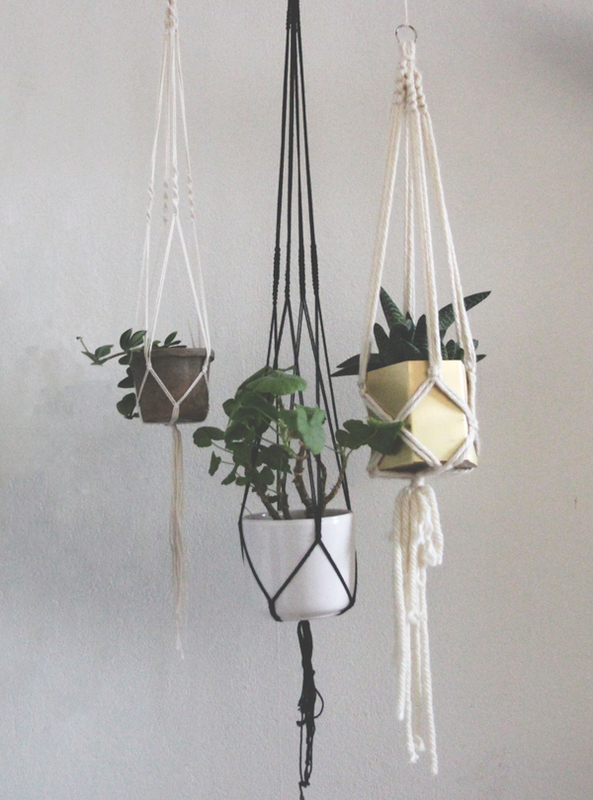 And good that you have some extra rope left for more hanging planters 😉 Can’t wait to see more! Thank you for joining our green family, Anne! Thanks a lot Judith. It’s much easier than you think. I just want to tell you that I am all new to weblog and actually loved you’re web blog. Almost certainly I’m want to bookmark your site . You definitely come with perfect article content. With thanks for sharing your web page.